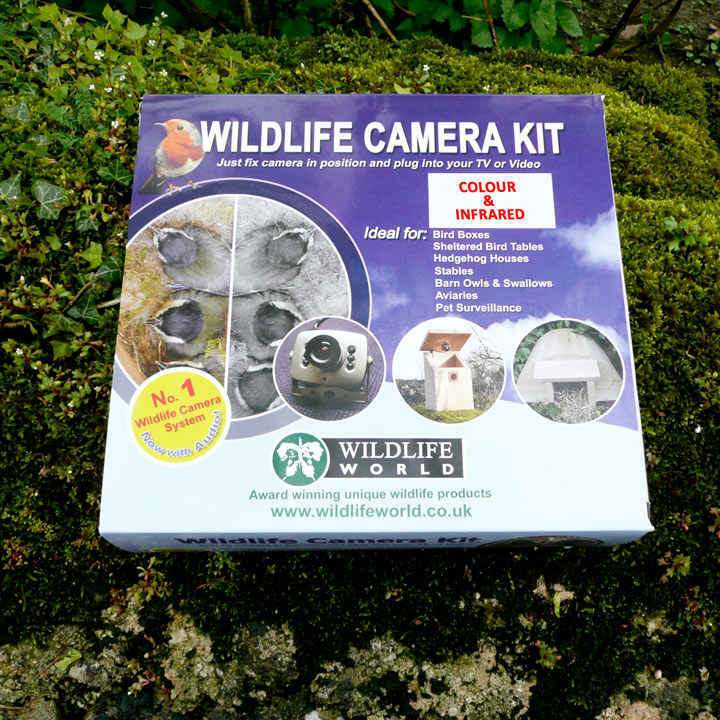 This small colour/infrared camera system is easily fitted in bird nesting boxes and also can be used in mammal stumps or in hedgehog houses to observe nocturnal wildlife activities. With a dual colour and infrared capability, the camera provides colour viewing in bright light and black and white viewing in infrared mode. The camera automatically switches between day and night time operation using an inbuilt sensor. The kit also contains a 30mtr (99ft) screened extension cable and scart socket which quickly allows the camera to be connected to your TV to see the live image stream. Both a standard 6mm lens and a wide angle lens good for viewing inside a bird box are included. 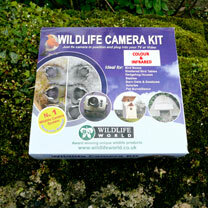 The camera can be fitted in any covered nest box or nesting house. If used as a stand-alone unit for watching wildlife in the garden, it must be protected from rain with a suitable weather-resistant housing. Ensure that all cables are tangle free and not at risk of being damaged by garden machinery or similar risks. Note The camera is designed to be plug and play to a TV and NOT a computer or laptop. In order to do this, you would need to purchase an extra bit of kit called a USB Video Adapter which is compatible with your PC and operating system version. 12 volt. Camera dimensions (excl. bracket) 3.5 x 2.7 x 1.5cm.